Huge budget cuts to council-run health budgets have been imposed - despite dire warnings that services will suffer. The government has hammered all councils with an immediate 6.2 per cent cut to this year’s public health budget grant, a move which has drawn criticism that the poorest council areas will be hardest hit. School nursing, suicide prevention, smoking cessation, sexual health and weight-loss support are among services which could be hit by the cutbacks. Wakefield Council’s 2015-16 public health budget will be cut by just over £1.5m, Calderdale’s by £798,000 and Kirklees Council’s will fall by more than £1.6m. Leeds will take the biggest hit among Yorkshire councils, with a cut of £2.8m. Bradford’s budget will be slashed by £2.5m and Sheffield City Council’s by £2.1m. In total £200m will be cut from the 2015-16 public health grant. The government launched a consultation on the proposed budget cuts over the summer and decided to implement an equal percentage cut for each local authority area. A Department of Health report said 27 councils which commented on the impact of the cuts said it would have a negative impact on health inequalities. Several argued that the cuts went against the health secretary Jeremy Hunt’s duties under equality legislation, and: “Others were disappointed that DH (department of health) had not completed an equality analysis before publishing the consultation document,” said the report. 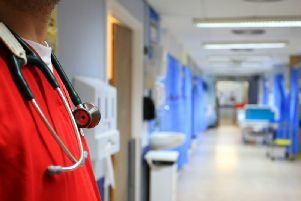 Research by the Faculty of Public Health estimates that the cuts to council budgets will lead to £1bn of extra spending by the cash-strapped NHS. Halifax MP Holly Lynch said: “These cuts will cause untold damage to the health and wellbeing of our community, particularly in the most deprived areas, but they are also at odds with the health service’s strategic objectives and make no financial sense in the long term. The Department of Health said it was increasing the NHS budget by £10bn and had ring-fenced public health funding for local authorities. In a statement the department said: “Local authorities have shown that more can be done for less to provide the best value for the taxpayer.